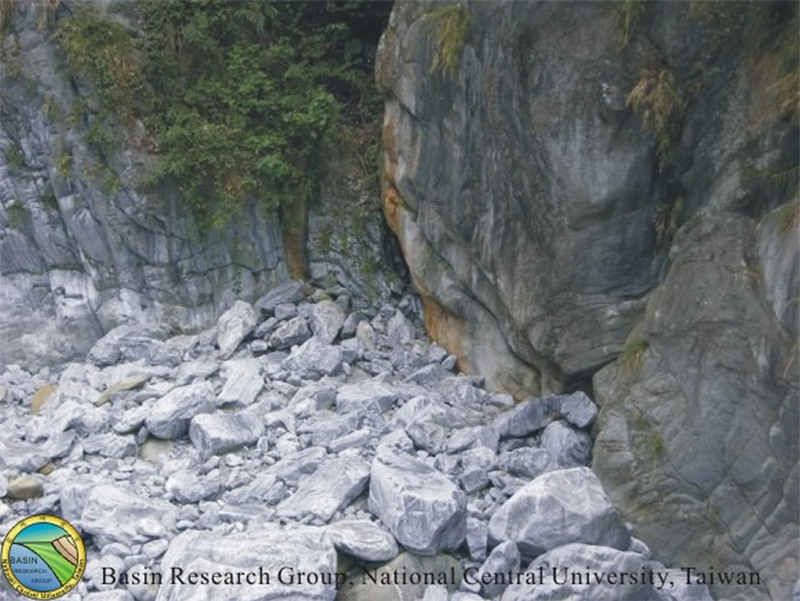 A contact zone between granite and marble is observed near Baisha Bridge. 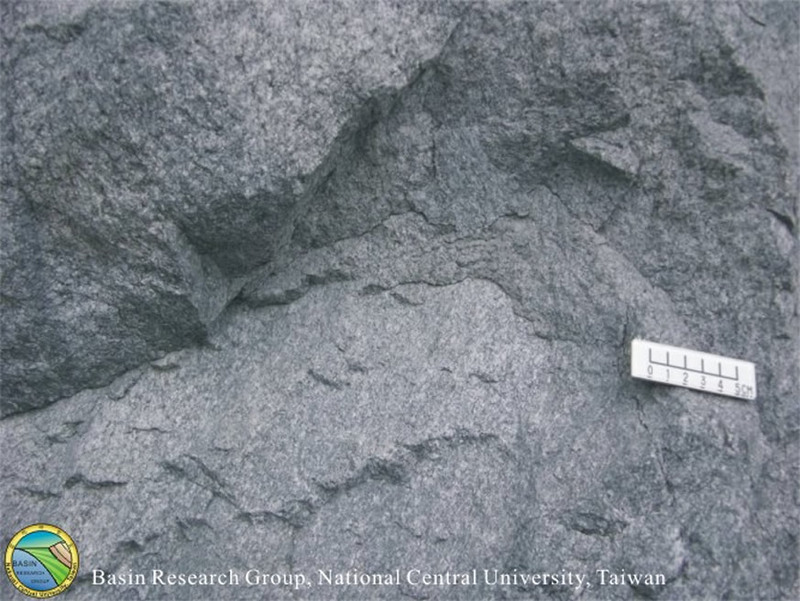 Rocks near the granitic intrusions may contain amphibolite facies minerals. 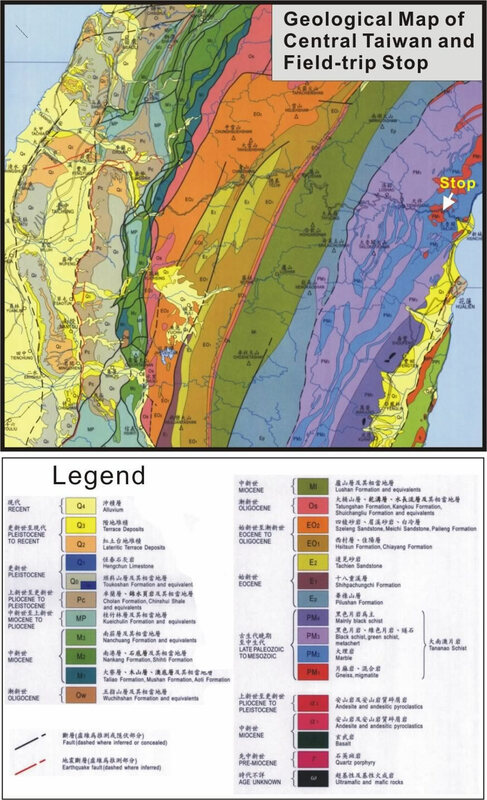 The P-T conditions as revealed by the Chipan granitic gneiss and Kainangang foliated gneiss indicate three episodes of metamorphism – the first stage at 2 kb and ca. 500°C, the second at 5-7 kb and 650-700°C, and the third stage at 4 kb and 450°C. Jahn et al. (1986) and Lan et al. (1996). Contact between white marble on the left and gray granitic gneiss on the right. A close up view of the granitic gneiss.